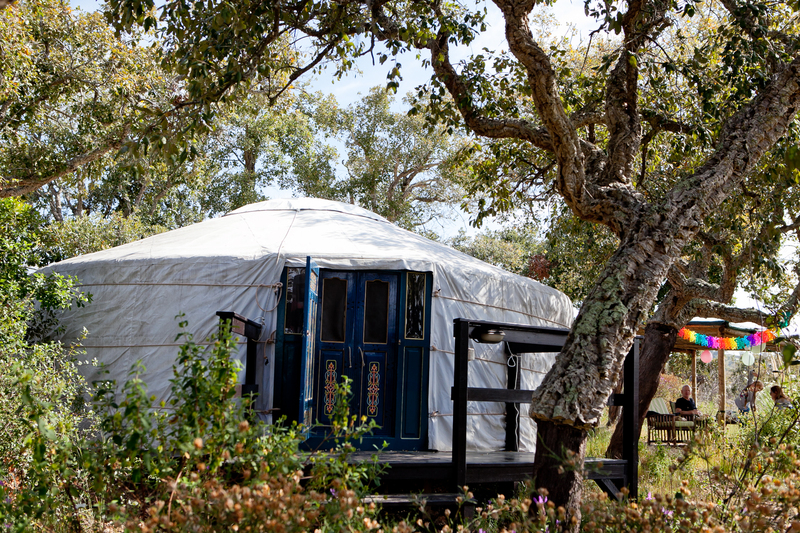 To sleep in a Mongolian Yurt is a truly original experience in itself. 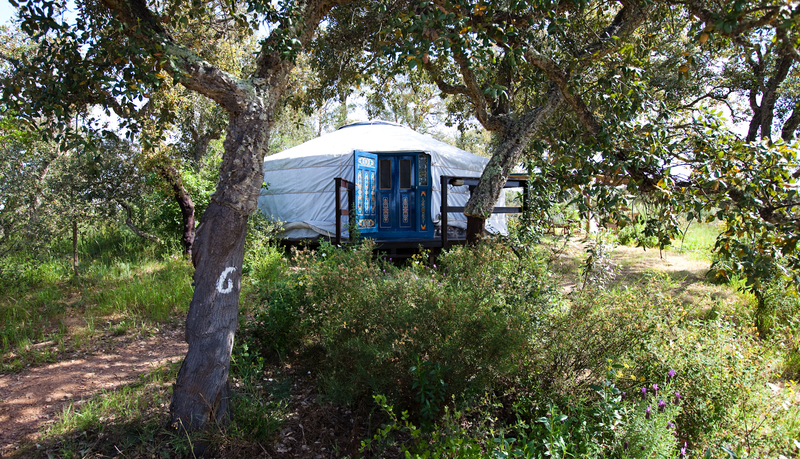 This spacious round tent with a round window in the top linking you with the bright Alentejan sky, gives a magical feeling. 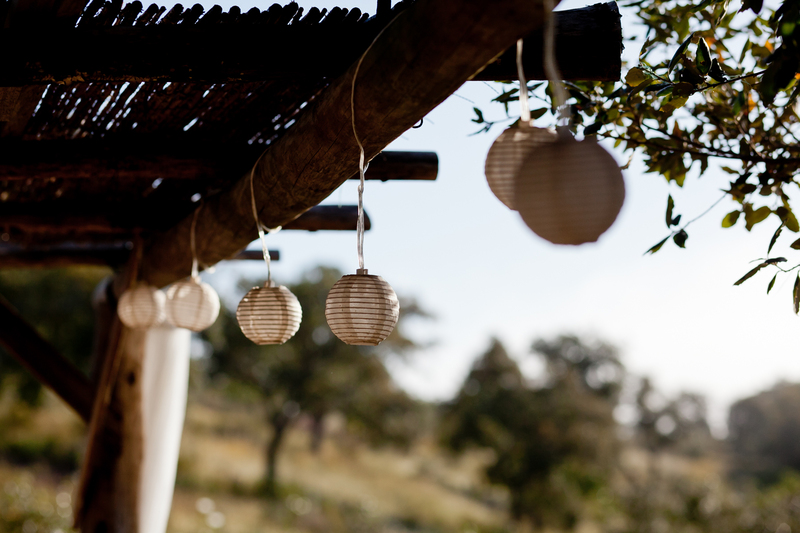 Lying in your bed you can see the stars. 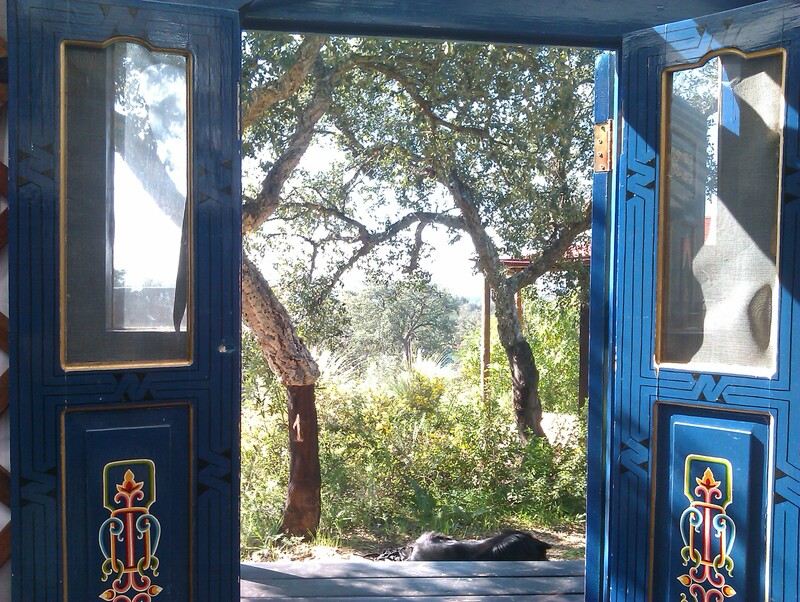 In the morning the first thing you’ll see is the deep blue of the clear sky. 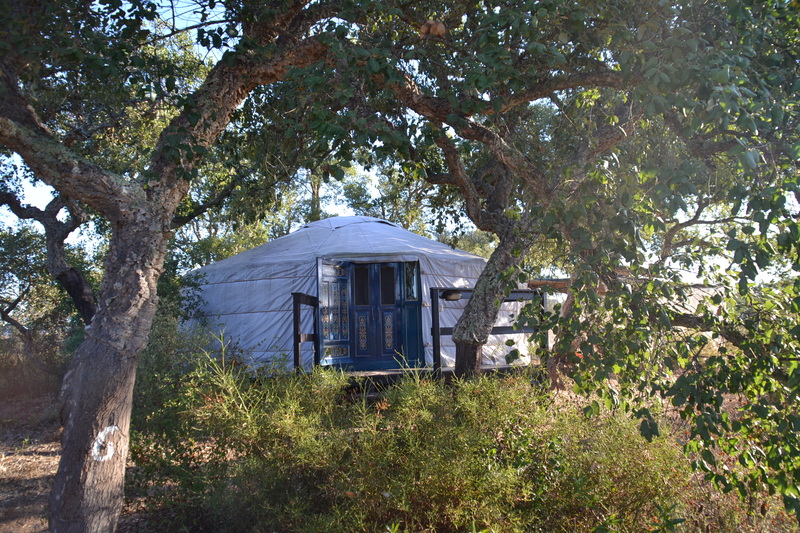 In summer the tent is insulated against the heat, and in early spring and late autumn against the chilly nights. 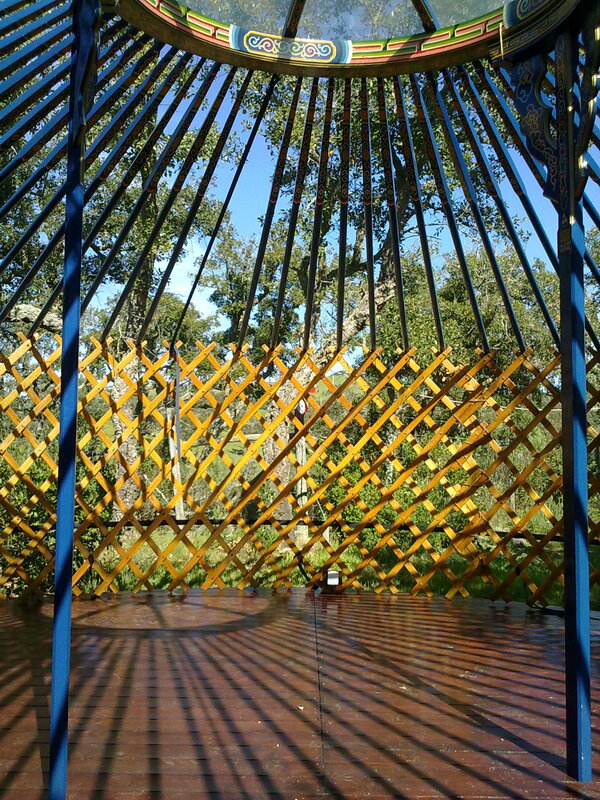 The stream of the air inside the yurt ensures that it stays pleasant inside in the heat of summer. 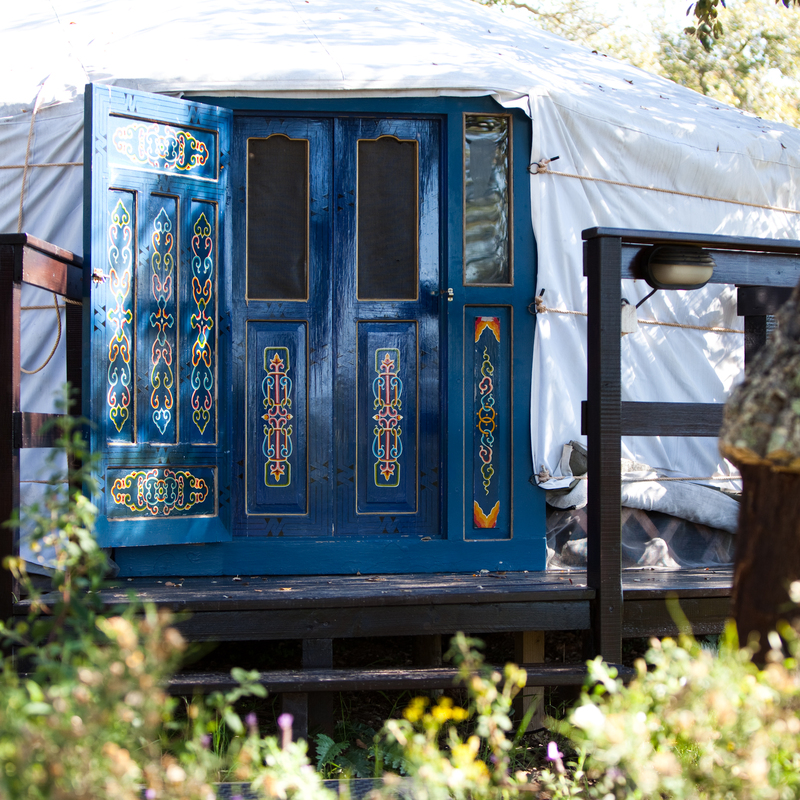 The yurt was made in Mongolia and is attractively handpainted in a traditional mongolian design. 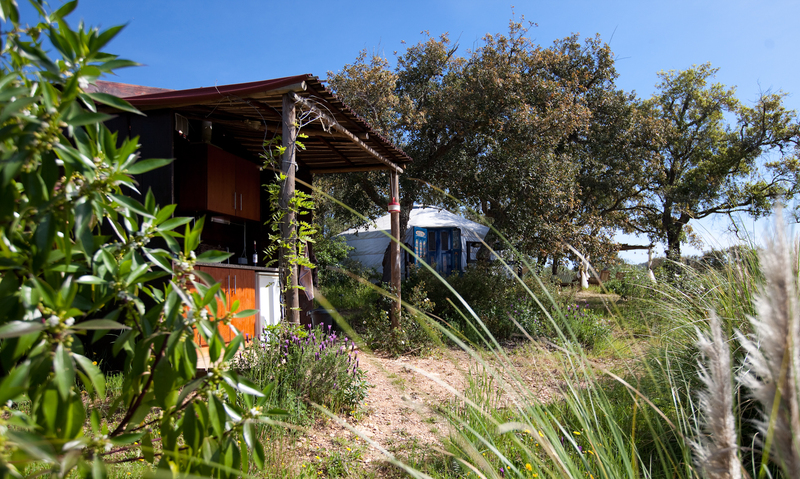 Outside the yurt, on your own terrace, you have a view over the whole valley and on towards the hills of the Parque Natural. 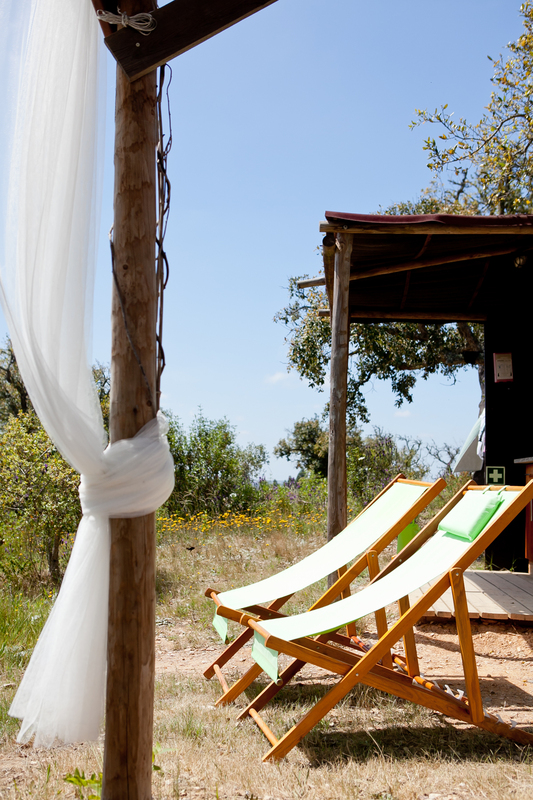 Whenever you exit your tent, whether while cooking in the outside kitchen or sitting on the terrace, you will enjoy this view. 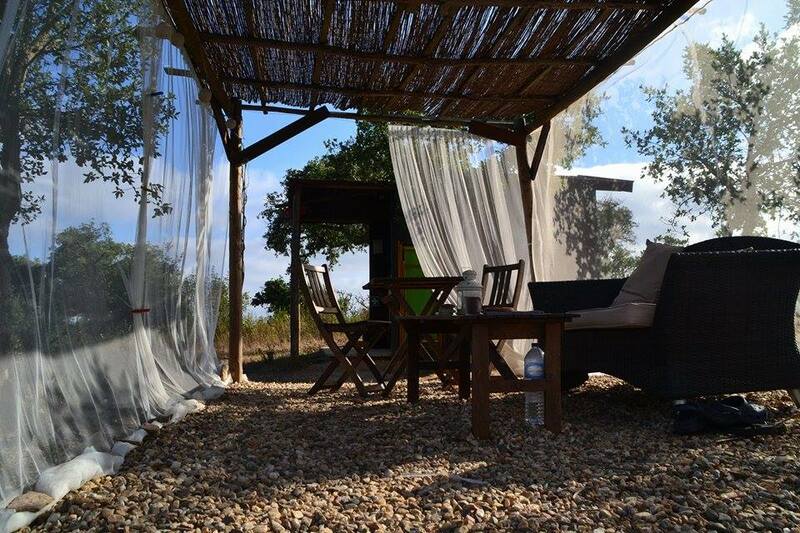 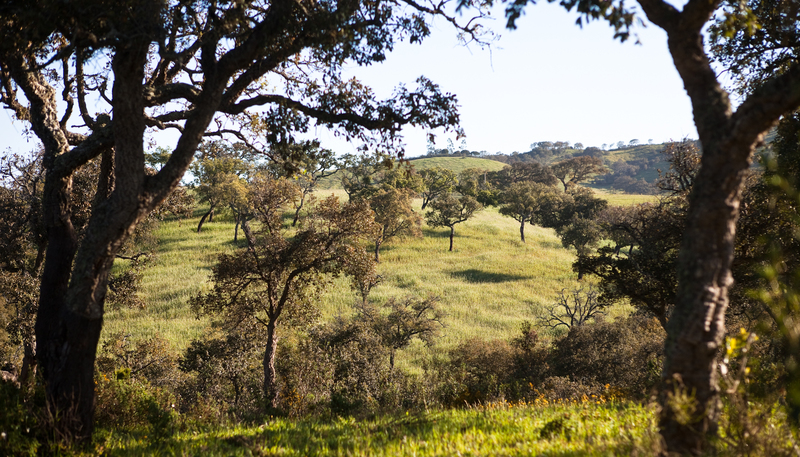 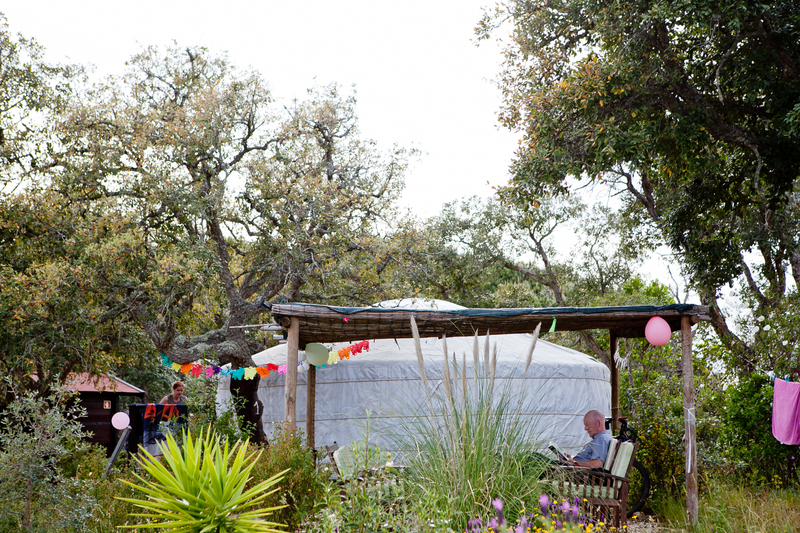 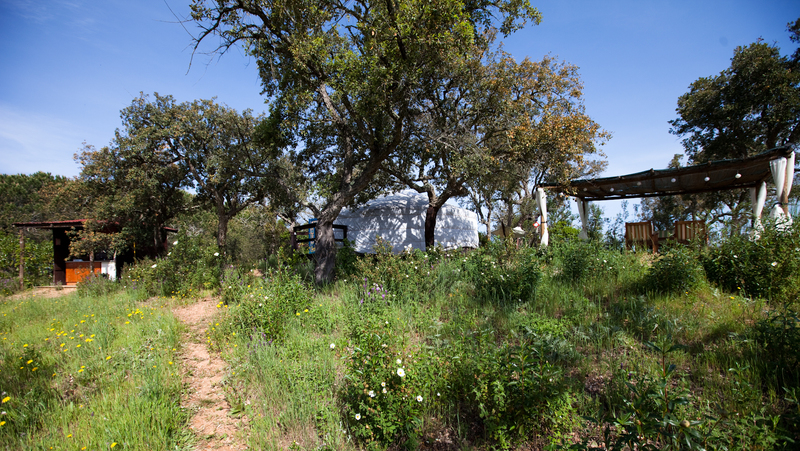 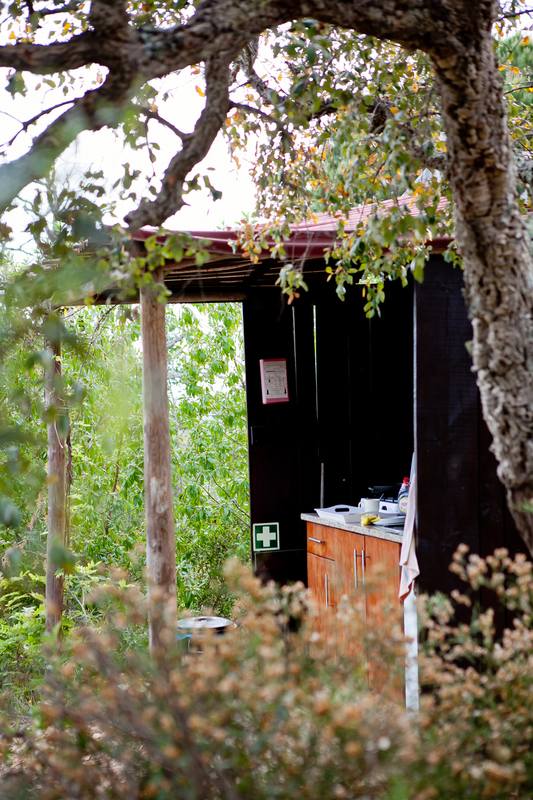 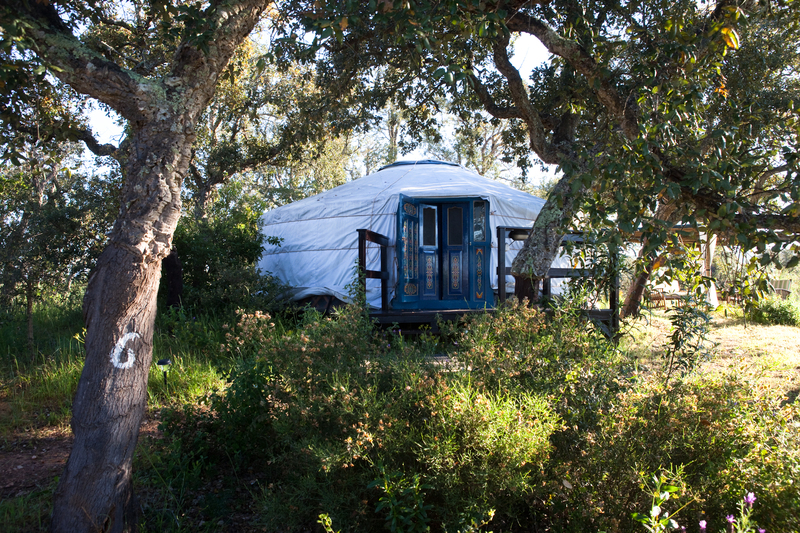 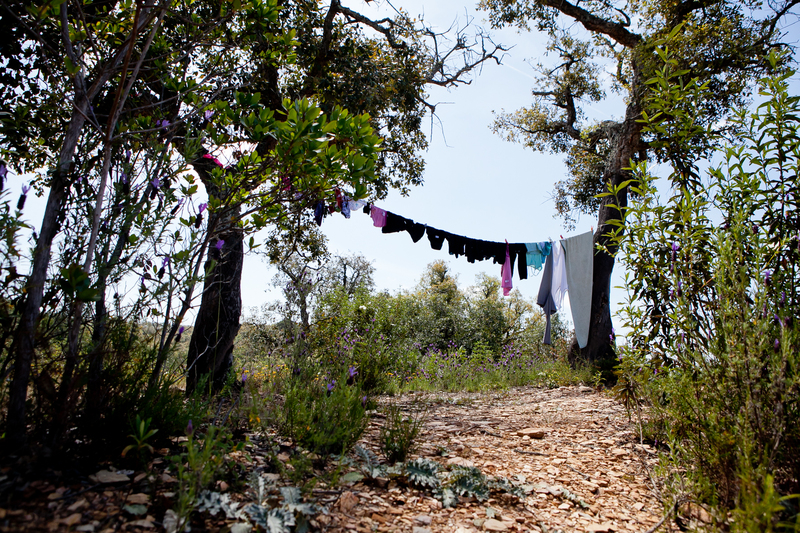 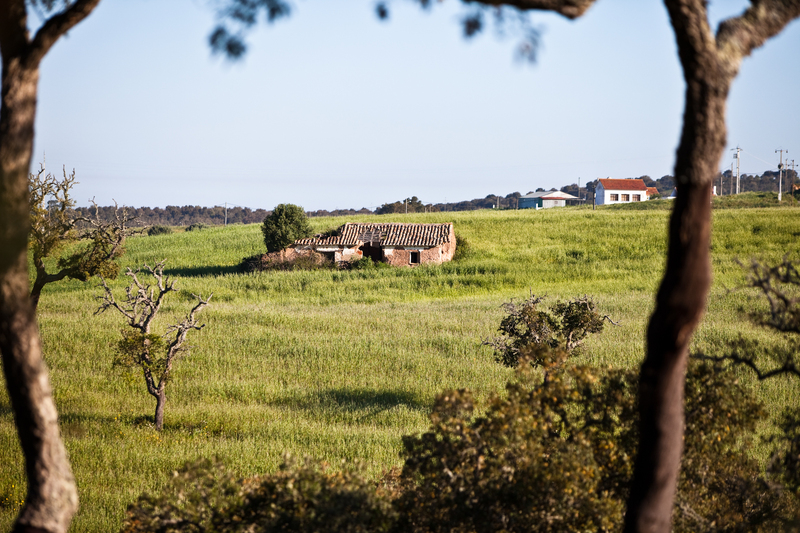 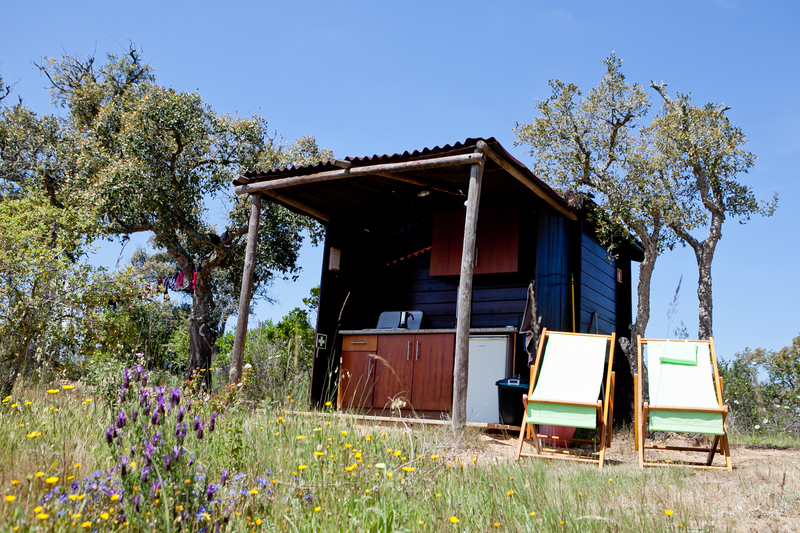 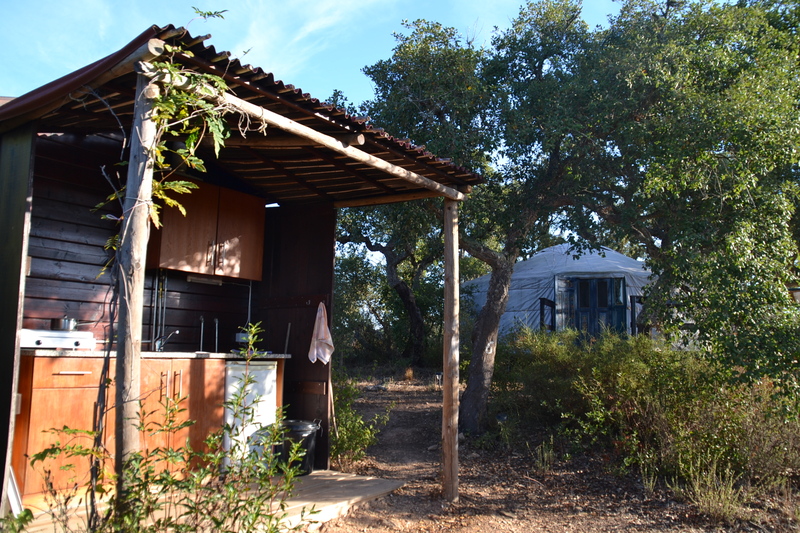 At the same time it feels secluded and private, as the yurt is positioned between cork oaks and pine trees. 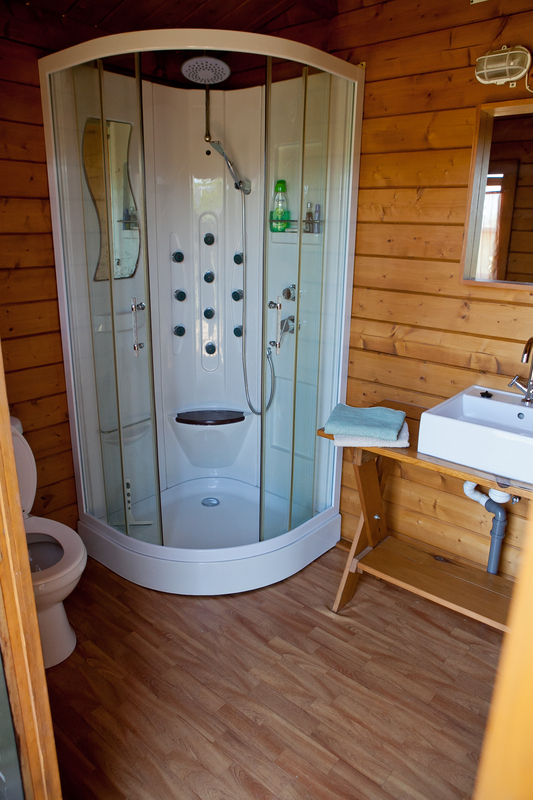 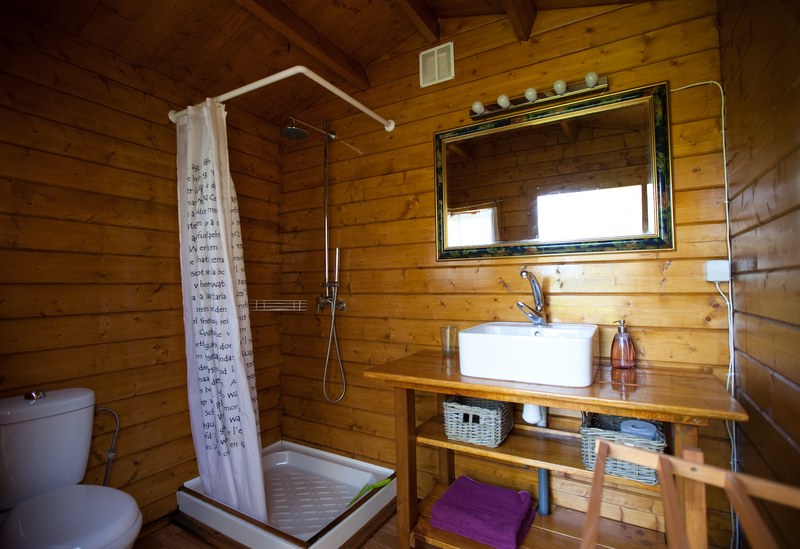 Just outside is your own private bathroom, with hot shower and a flush toilet. 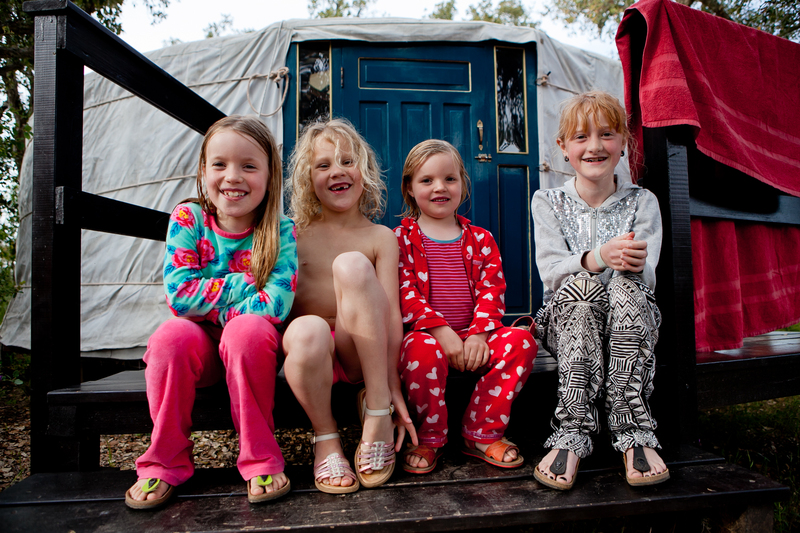 The yurt is furnished for 2 people, but it has a sofabed for one or two children to sleep on. 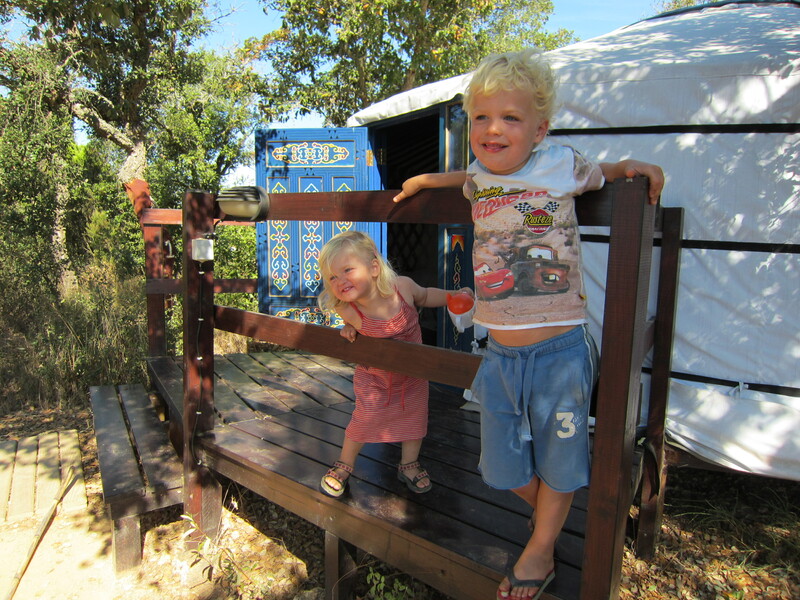 It is also possible to place a babybed or to put an extra mattress on the floor. 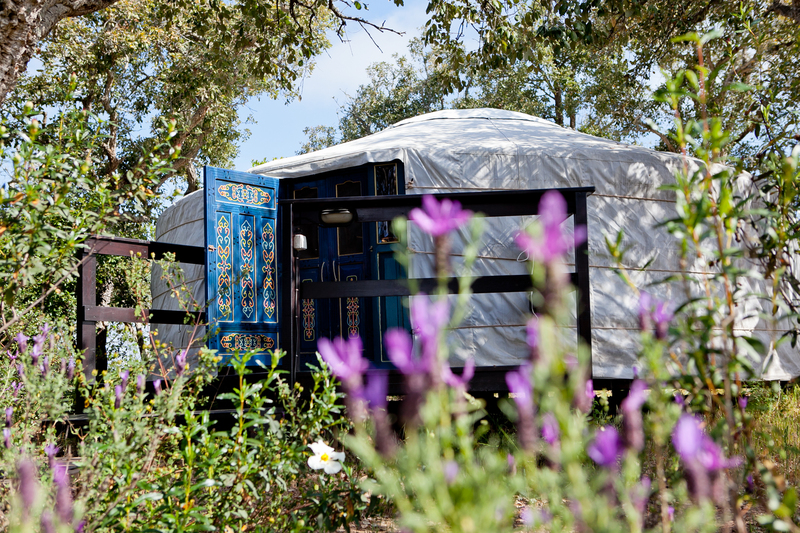 The yurt is set on a wooden floor with carpets, to maximise the feeling of comfort.